Jurassic World earned more than $500 million dollars worldwide its first weekend, the largest opening in cinema history. I sat down – Slurpee in hand – to watch this summer juggernaut, and here are my thoughts on it. Remember, SPOILERS ahead if you haven’t seen it yet. Well, really just one island…but I take their meaning. First Impressions: This movie seems like a retread of the first Jurassic Park: People think they can contain the primal fury of dinosaurs until a series of unfortunate events shows humans how little we can control anything. This time around, the park is open, which is new. It also ups the stakes because there are more people in the line of fire. But, the others have been good popcorn flicks, perfect summer blockbuster fare, so why not? CHRIS PRATT! He has the perfect combination of physicality, comic timing, and acting ability to be a heroic action leading man. Can we put him in every major action movie from now on? K’thanks. All the nods back to the original Jurassic Park, from the vintage T-shirt to finding the old museum and the banner. Even the score hearkens back to the original, all great. Way to play on my sentimentality and sense of nostalgia. The raptor squad. I know some people thought the idea of raptors actively helping the characters for once was uncool, but I liked it. 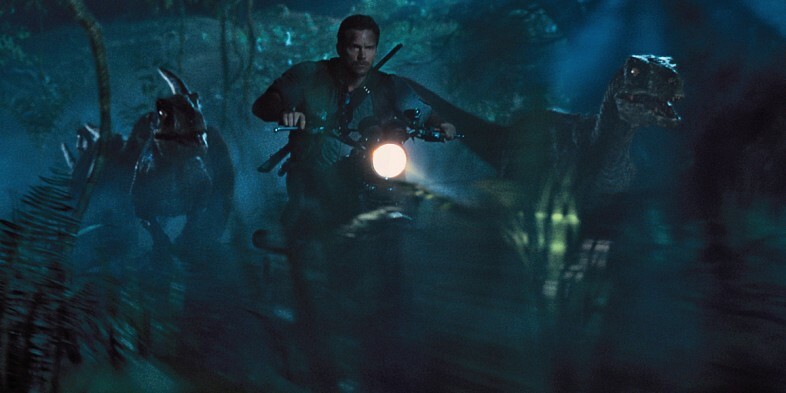 The most iconic moment of the movie, where I was most into it, was the shot of Owen racing through the woods on his motorcycle, surrounded by his raptors. Awesome. The “Let Them Fight” moment when the T-Rex squares off against the Indominus Rex. Unlike other movies in this series, there was surprisingly little of the ‘shouting someone’s name in the woods and attracting the dinosaurs’ trope. The Mosasaur in general. Every scene it was in, even if it happened to be eating a pterosaur, who was itself in the process of eating a Keira Knightley clone. The park itself. Everything from the signage, the information displays, and the gift shop looked like a fully realized amusement park. Pretty much how I felt every time they were on screen. Trying to outrun a dinosaur, especially in heels. The InGen Nazis. They seem to show up in every movie, and always get PWN’D by the dinos. Haven’t they learned anything by now? The KIDS. Movies like this are dependent on people acting contrary to how they would normally, or behaving stupidly. Nowhere is this more apparent than the two brothers. They are the most uninteresting part of the movie, and the most frustrating. No, just no. 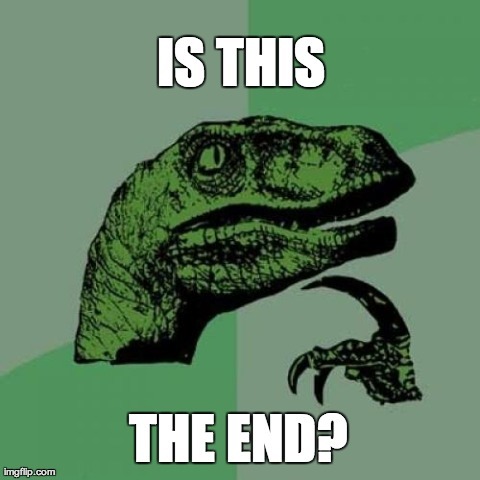 The raptors turning on Owen, somehow undoing years of training and imprinting, to see the Indominus as the Alpha. It was a good plot twist, I suppose, but then was undone when the raptors switch sides again. A movie that seems to condemn corporate sponsorship has plenty of product placement in it. Claire’s reversal of seeing the dinosaurs as ‘assets’ to living, breathing animals. That didn’t take long, did it? Wouldn’t you check the tracking device BEFORE opening up the containment area? Even if she doesn’t show up on infrared scanners, shouldn’t you take every precaution before potentially stepping into the ring with a genetically modified killing machine? The love story. They only had one date, but a few death-defying encounters with ancient predators and they’re together, huh? Didn’t we see this kind of weaksauce, destined-to-fail kind of romance in Speed? No one can pilot a helicopter on the island except the 8th richest man in the world, who is still isn’t completely checked out. I understand trying to take some responsibility for what is happening, but this seemed like a rather convenient – and stupid – way to get the character out the way so that Vic Hoskins can take over with the aforementioned InGen Nazis. Why don’t the gyrospheres have an ‘auto-return’ function on them? 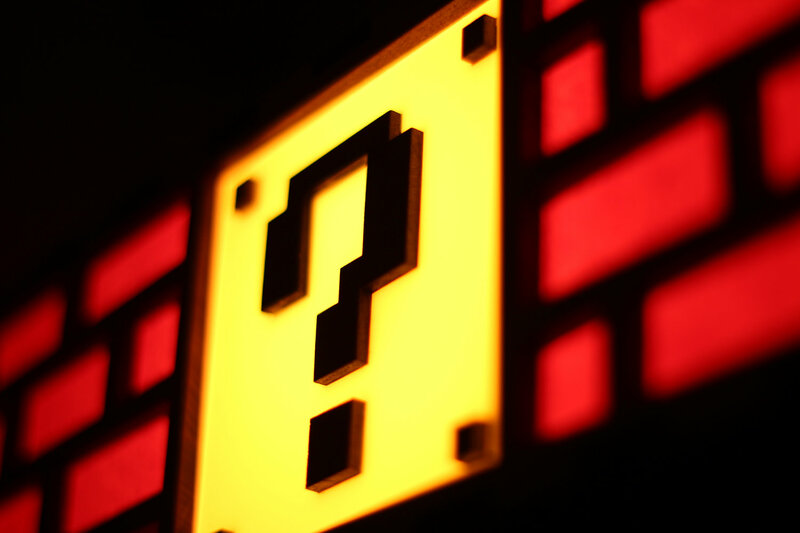 What was with the unexplained communications failures? They seemed to happen at least twice at critical moments. Convenient. Why was everyone just sitting out in the heat? If the all rides closed, wouldn’t you want to go back to your hotel room (I’m guessing there’s one on the island), or hang out in the shops where it’s air-conditioned? After the previous ‘containment anomalies’ that have happened in Isla Nublar’s history, shouldn’t a full-scale evacuation of the park be something they have multiple contingency plans for, ready to go at a moment’s notice? Titanic, anyone? Why should stealing samples from the lab be a thing anymore? Isla Nublar isn’t their main lab. And doesn’t InGen have multiple labs where the same results can be easily replicated? Oh wait, that was a set up for the next movie. Nevermind. Why does the parents’ divorce play into the story at all? Couldn’t the parents just be sending the boys off to visit their aunt? This adds nothing to the story, and the emotional blow to the boys happens before they are even in danger, and then is never mentioned again. Conclusions: I liked this film overall. While it is not one that I’ll see multiple times in the theatre, I do not regret going to see it. It delivered on the action and spectacular visuals, and really I wasn’t expecting much else out of it (like most summer blockbusters). The film uses some painful tropes which harken back to the mistakes made in the previous movies. Then again, maybe that’s the point. Jurassic World isn’t a reboot, per se, but I suppose it’s meant to be this generation’s Jurassic Park, and move the franchise forward. In that light, Jurassic World fulfills its role beautifully.